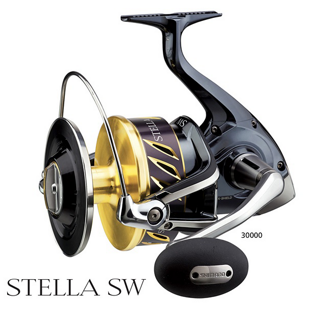 The Stella SWB series redefines what spin reels are capable of. No longer a reel for medium impact fishing, Stellas can tackle the largest bluewater game fish on the planet. Hagane Body and Hagane Gears, a slew of bearings, and heavy drag capabilities, have made the Twin Power spin reels must-haves for the elite saltwater angler. 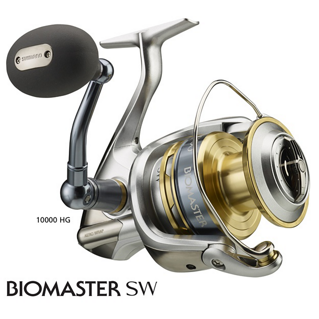 A combination of a hybrid body, a choice of gear options depending on the style of fishing they are to be used for, plus a wealth of other features makes the Biomaster SWAs a dependable reel range. 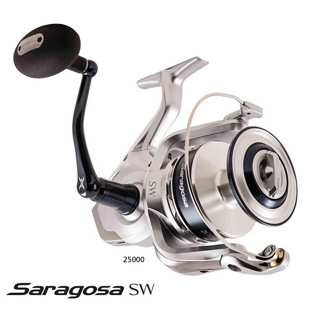 Shimano's Saragosa reels offer anglers a comprehensive saltwater lineup that can handle larger offshore species, while coping with the punishment of regular saltwater use. 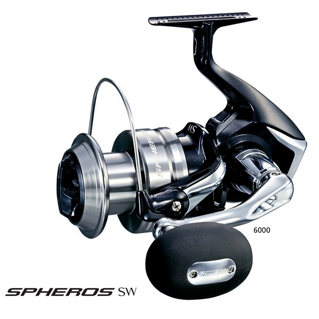 The Spheros SW series not only have the looks, but at the heart of it remain gutsy, no-nonsense reels that have the drag power, gear ratios and line capacities anglers want. 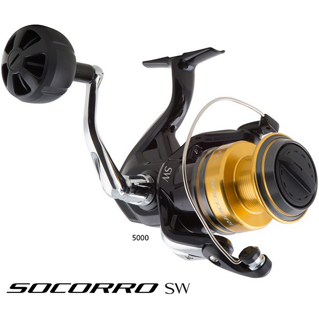 The versatile Socorro SW spin reel series are well suited to inshore and offshore fishing opportunities on multiple species using bait, lure, and jig. Saltwater and offshore fishing is growing in popularity each year, with many anglers wanting to land those large heavy fighting saltwater reef and bluewater species. This has led to a need to for saltwater spinning reels that have a drag system tough enough for any offshore species, including traditionally larger game fish like Tuna and Marlin. Shimano’s series of offshore fishing reels not only provide anglers with reels that could pull in a small sperm whale, but also with reels that are designed specifically for regular saltwater conditions and heavy use. With more fishermen exposing their fishing reels to harsh saltwater conditions, offshore fishing reels needed to be extremely durable and resistant to constant saltwater use. This led Shimano’s engineers to come up with an anti-corrosion treatment that is more impervious to harshness of Mother Nature. 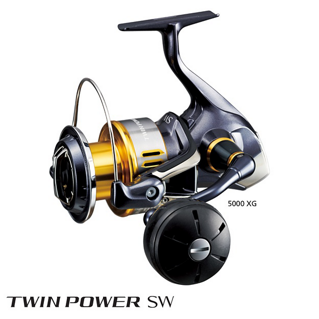 Combined with an already ready impressive water proof drag system and Shielded A-RB bearings and Shimano are now producing some of the toughest and most efficient saltwater fishing reels on the market.